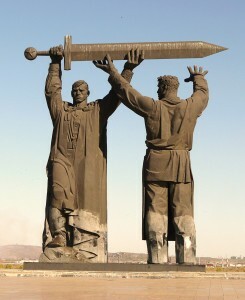 A monument built to commemorate Magnitogorsk’s crucial production of supplies during World War II. 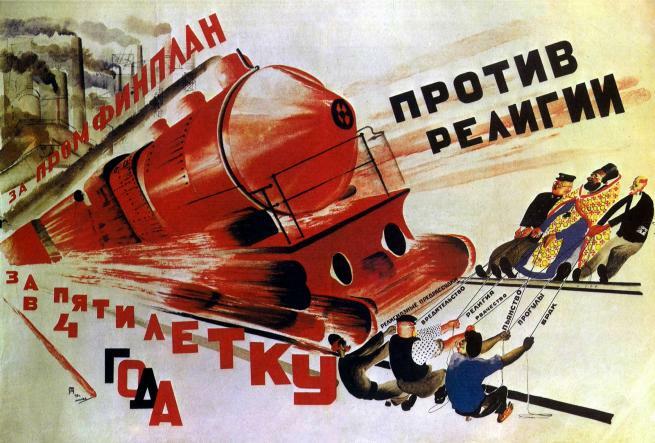 Stalin had a clear agenda for what he wanted to get done in the Soviet economy. The base of the society rests on if they can get food, so naturally agriculture is very important to the success of an economy. Due to the poor results he was getting from the agricultural sector, he sought to find new ways to inspire production from the Soviet people. In “Dizzy with Success” (1930) Stalin discusses the need to temper growing enthusiasm in the socialist state and the socialist system. It is interesting to note that this was necessary. In America, students are still raised on ideas born of the Cold War: communism is evil; the people are never happy under communism. This piece contradicts these foundational American ideas.